Books that J.P. has authored, edited, or contributed articles. One of the most crucial issues facing Christians living in the twenty-first century is how to think about the authority of science as a source of knowledge in relationship to other sources of knowledge, such as philosophy and theology. By implication, how we think about technology is also related to this area. Moreover, it is very important to recognize, perhaps especially for self-identified conservative American Evangelicals, that this topic is much broader than the creation vs. evolution discussion; that discussion, however important, is a microcosm of broader philosophy of science considerations. This book can help Christian leaders appreciate that value. Limits to science arise in a number of interesting ways, and these limits are sufficient to do two things: (a) they show that scientism – the view that science alone is a rational approach to the world that secures truth – is false; (b) they weak the epistemic authority of science, depriving it of its claim to dominate or overrule theology and philosophy. The interaction between science and theology or philosophy is a dialogue, not a monologue. Attempts to integrate science and theology, including efforts to resolve apparent conflicts between them, should not automatically assume a view of science known as scientific realism. Scientific realism, roughly defined, is the view that successful scientific theories are true or approximately true models of the theory-independent world. A number of antirealist approaches to science agree that science works – it solves problems, gives us predictions, allows us to control nature and describe observations simply – but that its success does not indicate that scientific theories are true or approximately true. An eclectic model of science, one that uses a realist or antirealist view of science on a case-by-case basis, should be used to integrate science and theology. In these theses, I discuss attempts to define science and state a set of necessary and sufficient conditions for something to be called science. I also describe various ways that philosophy interacts with science (chapter 1). In chapter two, I discuss scientific methodology and conclude that there is no such thing as the scientific method. Rather, science uses a family of methodologies, and various aspects of these methodologies are used in disciplines outside of science. The chapter ends with an example of how theology uses scientific methodology in the sense that I specify. Chapter 3 discusses various types of limits to science and argues that scientism is naïve and false. I then define scientific realism and consider various objections to it (chapter 4). 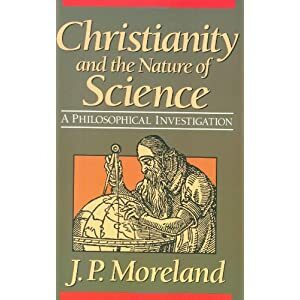 Chapter 5 describes a number of antirealist views of science and concludes with a brief sketch of an eclectic model of science that could be used to integrate science and theology. Finally, chapter 6 considers the claim that creation science is not science but religion in disguise. The chapter defends the scientific status of creation science by offering a working characterization of what it is supposed to be and by responding to criticisms of its status as a science. My colleagues keep pressing me to offer a revised edition of Christianity & the Nature of Science. Perhaps someday I will, but at this time, I am not interested in doing so for at least three main reasons: First, the theses, remarkably, are still mostly clear and relevant to the contemporary discussion and I still affirm them; Second, while there have been important updates to the discussion, if a reader is willing to work a little extra, he or she can discern how those updates might be considered in light of the theses of this book; Third, my current writing interests are less focused on philosophy of science compared to when I wrote this book in the late 1980s. I am grateful for the opportunity to have penned this book when I did. It allowed me to speak with my academic chemistry background in mind, along with my background and work in theology and philosophy. In the local church, and especially among leaders, encourage honest and open discussion about various science and theology integration issues in light of the model of integration that I have suggested. Local church discussions about creation science or intelligent design have helped to get this discussion going. But we must develop those areas and so much more. Leaders need to have a regular habit of thinking about this area and its implications for how they pastor people in this culture. Christian parents, especially if you home-school your kids or send them to a private Christian school, need to recapture the beautiful theological notion of a vocation – a life message, a calling by God to use spiritual gifts, natural talents, and, circumstances of life for the progress of God’s kingdom. We desperately need fresh Christian blood in philosophy, theology and the sciences. Parents can and should model, teach and encourage vocational thinking in these areas. We need Christian funders of all types to richly invest in sound, fruitful and Kingdom-honoring integration work in science and theology. Funding unsound integration work is unfruitful. Thankfully, funding has increased in recent years, but more work is needed – and not merely throwing money at a cause, but strategically investing to grow Christian cultural capital in this area among elites, educational and cultural institutions, networks, scholars, pastors and other local leaders. The Eidos Christian Center is one among other means to empower this endeavor. It offers a helpful and comprehensive introduction to Christian thinking in science and theology. It treats theology as a source of knowledge about reality and not merely a religious faith-commitment or an emotive expression. It provides a handy, realistic, and sound model of integration between science and theology. It offers perspective, historical and philosophical, for how to adjudicate between competing and contradicting claims in science and theology. It defends the scientific status of creationism and offers responses to some main objections. It enthusiastically supports the fruitful benefits of scientific knowledge while recognizing and explaining the limits of science.